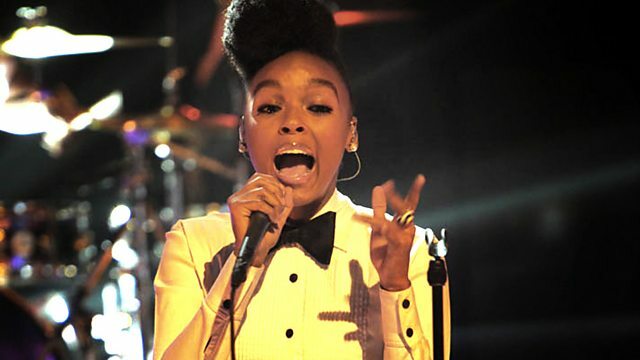 Joining Jools are Janelle Monae, Cee-Lo Green, Cheikh Lo, The Jim Jones Revue and CW Stoneking. Plus Steve Miller Band perform tracks from their album Bingo! Joining Jools on the fourth show of the series are San Franciscan rock legends Steve Miller Band, performing a couple of tracks from their latest blues-flavoured album Bingo! ; hotly-tipped R'n'B queen Janelle Monae makes her UK TV debut with songs from her highly acclaimed The Archandroid; and nu-soul troubadour Cee-Lo Green, who last appeared on the show in 2006 as part of Gnarls Barkley, performs numbers from his upcoming The Lady Killer set. Africa meets Cuba with Senegalese superstar Cheikh Lo in the studio to play a song from his Jamm album accompanied by Pee Wee Lewis on sax; and there's another Later TV debut with London's premier rock rebels The Jim Jones Revue performing a number from their Jim Sclavunos-produced Burning Your House Down album. And finally, from Australia, CW Stoneking with his Primitive Horn Orchestra performs his unique take on 'hokum, vaudeville and pre-war blues'.